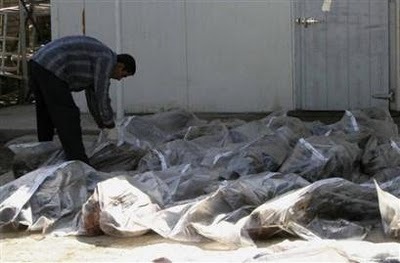 “The United States has committed and sponsored the crime of genocide in Iraq. Responsibility for genocide rests on specific intent and given or probable consequences of actions. The 2003 US invasion of Iraq was the culmination and intensification of a consistent US policy, spanning over 17 years, of destroying Iraq as a national and state entity. The United States attempted and succeeded to destroy the state if Iraq, but cannot succeed in its attempt to destroy the nation of Iraq”. 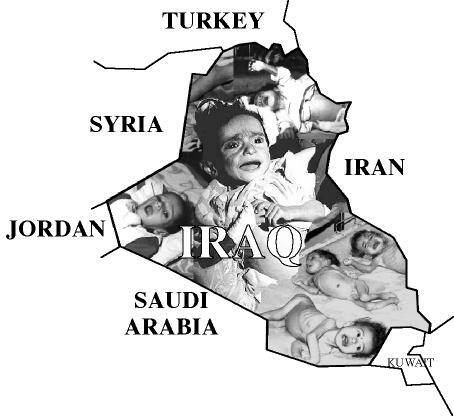 Maybe a person who would weep for Iraq is really a terrorist sympathizer. After all, most of the deaths resulted from “sectarian violence,” and who can stop crazed Islamic sects from killing each other. Better each other than us, right? Well, it’s about time that we think about the numbers, even though the US military has decided that body counts are not worth their time. Opinion Research Business, a highly reputable polling firm in the UK, has just completed a detailed and rigorous survey of Iraqis. In the past, the company’s results have been touted by the Bush administration whenever the data looks favorable to the US cause. But their latest report received virtually no attention in the US. Here is the grisly bottom line: more than one million people have been murdered in Iraq since the US invasion, according to the ORB. Yes, other estimates are lower, but you have to be impressed by what they have found. It seems very credible. In Baghdad, where the US presence is most pronounced, nearly half of households report having lost a family member to a killing of some sort. Half the deaths are from gunshot wounds, one-fifth from car bombs, and one-tenth from aerial bombs. The total number of dead exceeds the hugely well-publicized Rwandan genocide in 1994. You are welcome to inspect the detailed data. Aside from the astonishing detail, what jumps out at me is the number of dead who are neither Sunni nor Shia. It is also striking how the further geographically you move from US troop activity, the more peaceful the area is. Americans think they are bringing freedom to Iraq, but the data indicate that we are only bringing suffering and death. If you have ever lost a family member, you know that life is never the same again. It causes every manner of religious, social, and marital trauma. It’s bad enough to lose a family member to some disease. But to a cold-blooded killing or a car bomb or an airplane bomb? That instills a sense of fury and motivation to retribution. So we are speaking of some 1.2 million people who have been killed in this way, and that does not count the numbers that were killed during the invasion itself for the crime of having attempted to oppose invading foreign troops, or the 500,000 children and old people killed by the US-UN anti-civilian sanctions in the 10 previous years. And let’s not flatter ourselves into thinking that these are nothing but ragheads killing each other for no good reason. Just this past weekend, there is an example in point. Some of the legendary contractors for the State Department were driving through the Sunni neighborhood of Mansour in Baghdad. They were driving their SUVs when witnesses reported an explosion of fire that lasted 20 minutes. The SUVs drove off, leaving at least nine people dead on the road. Why? No one knows. Sure there will be investigations. There have already been apologies. The company in question has had its license to practice occupation revoked by the Iraqi government. For how long, no one knows. But these are merely symbolic gestures. There will be no justice, and no forgetting. In light of the one million plus figure, such statements come off as evil jokes. The US has unleashed bloodshed in Iraq that is rarely known even in countries we think of as violent and torn by civil strife. It is amazing to think that this has occurred in what was only recently a liberal and civilized country by the region’s standards. This was a country that had a problem with immigration, particularly among the well-educated and talented classes. They went to Iraq because it was the closest Arab proxy to Western-style society that one could find in the area. It was the US that turned this country into a killing field. Why won’t we face this? Why won’t we take responsibility? The reason has to do with this mysterious thing called nationalism, which makes an ideological religion of the nation’s wars. We are god-like liberators. They are devil-like terrorists. No amount of data or contrary information seems to make a dent in this irreligious faith. So it is in every country and in all times. Here is the intellectual blindness that war generates. Such blindness is always inexcusable, but perhaps more understandable in a time when information was severely restricted, when technological limits actually prohibited us from knowing the whole truth at the time. What excuse do we have today? Our blindness is not technological but ideological. We are the good guys, right? Every nation believes that about itself, but freedom is well served by the few who dare to think critically. An essential postulate of the Western idea, or so we tell ourselves, is the universal and ultimate value of human life. And indeed it is true. No person or group of people is without value – not even those whom our own government chooses to label the enemy. *** Llewellyn H. Rockwell, Jr. is president of the Ludwig von Mises Institute in Auburn, Alabama, editor of LewRockwell.com, and author of Speaking of Liberty. Wilful destruction of sanitation infrastructure.